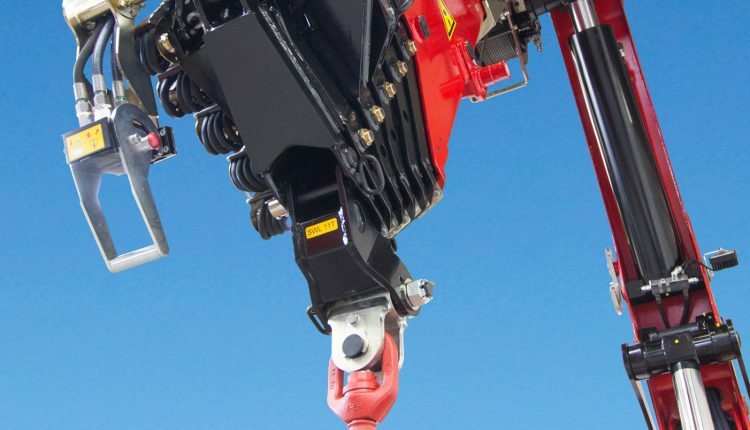 Loader and hydraulic crane manufacturer HMF has announced the launch of its new crane, HMF 3220‐K, with characteristics that are suitable for haulier applications. The new HMF 3220-K will be on display at the IAA in Hanover for a week in September, 20-27th. HMF has designed the HMF 3220-K for longer reach as well as a low tare weight. It said that hauliers benefit from the higher payload on the truck. The new crane is designed to have the longest reach of any crane in the 30tm range. Making additional design improvements, the company designed the new crane to weigh less than previous models and to require less space on the truck. R&D Manager Gudmund Brændgaard said that the company reduced the length of the crane to a minimum, arequirement important for the haulier applications because of the wider range of applications for the crane and the truck. “The system carries out active monitoring of vehicle stability. When the maximum permissible heel of the vehicle has been reached, the crane stops completely,” he said.